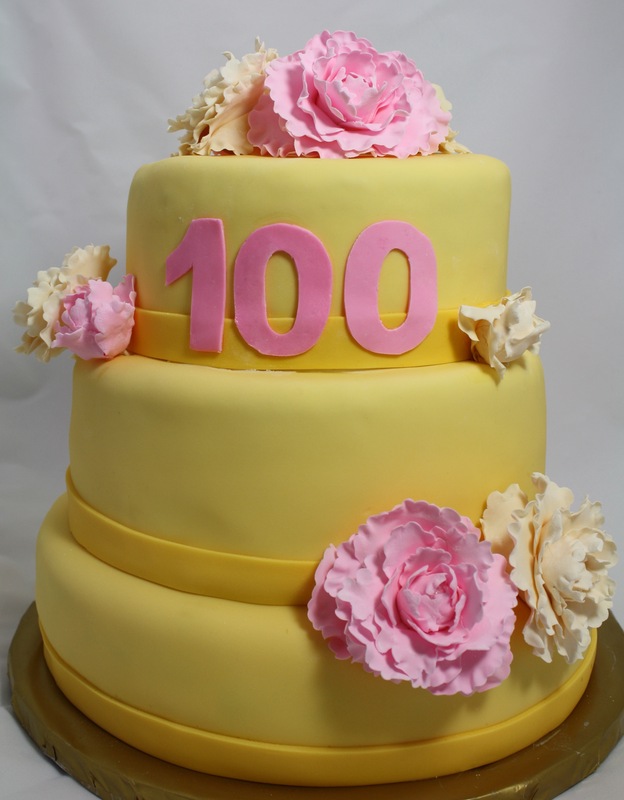 My co-worker comissioned this cake for her grandmother’s 100th birthday celebration.I knew it had to be good, as she has 99 other cakes to compare this one with. 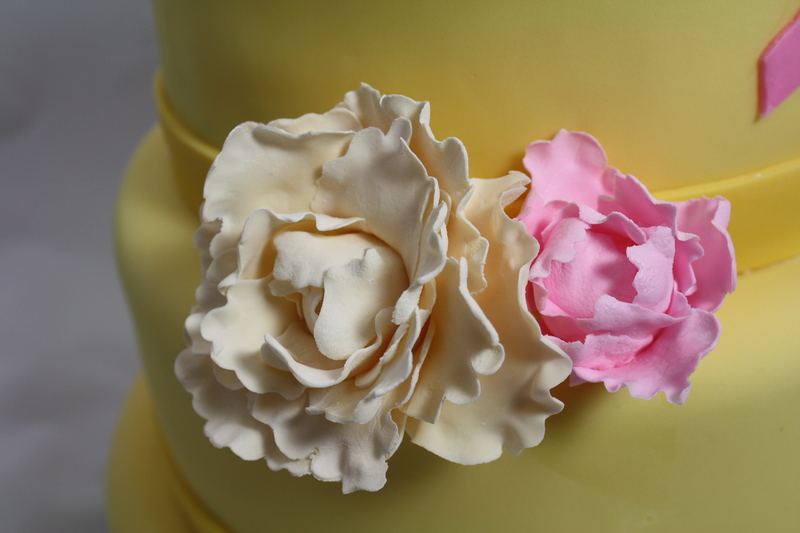 The bottom layer is chocolate with orange buttercream inside and the top two layers are vanilla with raspberry buttercream filling. The decor reflects Billie’s favorite color (yellow) and flower (peonies). I must say these buds were fun to make! Ever since I was a child, I’ve had a fascination with all things French. The obsession continues, even to my 27th birthday! 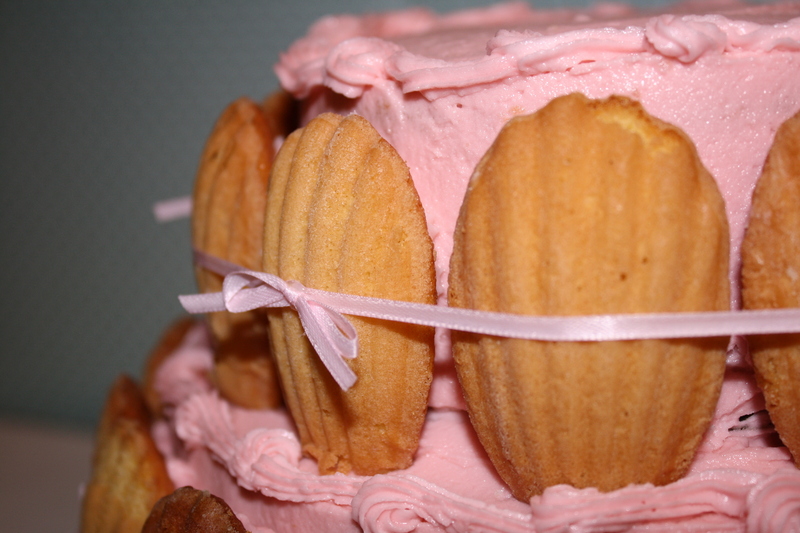 To celebrate, I made an orange cake with pink buttercream frosting, adorned with honey-lemon madeleines. These shell-shaped sponge cakes are light and taste good even without the cake! 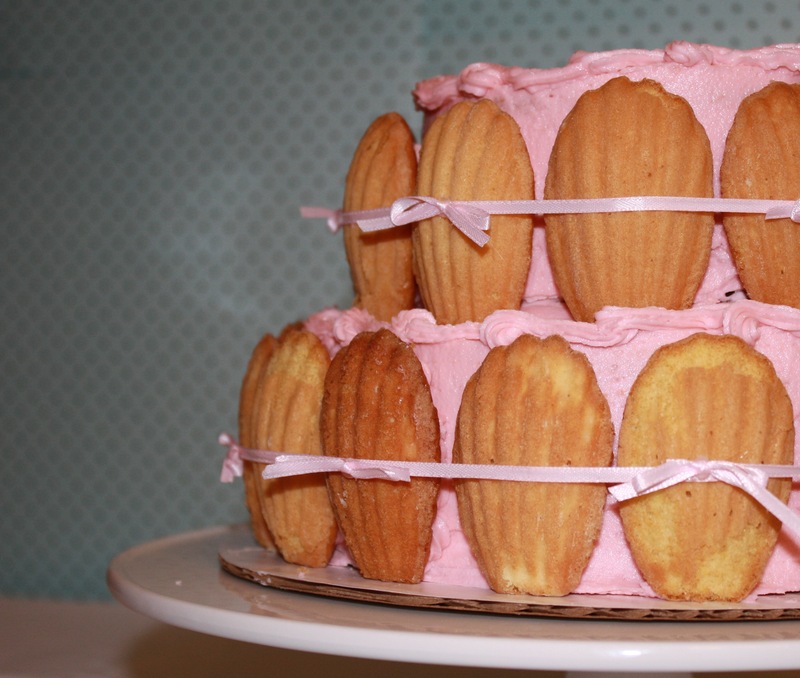 I’ve been asked to share my recipe for Madeleines. I got this one from the Williams-Sonoma Web site. I thought anything from French Chef Hubert Keller, who is the owner of Fleur de Lys Restaurant in San Francisco, would be authentic and delicious. I think you’ll agree.